There is some truth to popular conception of bishops taking over the role of civil government out of the necessities of the migration era, however it would be wrong to credit this with the development of strong temporal positions held by later ecclesiastics. Easily dismissed is the notion that the clergy were indispensable to the Empire for the sake of literacy alone; a comes (companion or courtier) of the Emperor was known in the vernacular as a gravio, “one who writes.” The development traced by Peter Wilson in Heart of Europe indicates a conscious rather than an accidental growth of these offices, an exemplification of integral unity of the state within the Church that constitutes Before Church and State‘s thesis. How did such a situation arise? It was deliberately fostered by the policies of the Carolingian Emperors and their later Ottonian successors and enshrined in Imperial Law, surviving even the disruptions of Napoleonic usurpation. Strictly defined temporal duties of prelates first appear in the form of the missi dominici of Charlemagne, bishops paired with lay nobles to administer justice uncorrupted by local circumstances. In these earliest missions as in later forms the power exercised by these bishops in impartial justice served the independence of Church as well as the purposes of the state, both serving the greater goal of establishing Catholic Civilization. Under Byzantine autocracy and stagnation the Church was suppressed from political life and became an instrument of the state, even under its Ottoman conquerors. In contrast in the West the close collaboration of the two jurisdictions led to each being more clearly defined, while still cooperating for the same final end. In elevating Charlemagne from mere king and overlord to the (then-vacant) office of Emperor, Pope Leo III formalized and contextualized not only the role of the Empire in the greater Catholic Mission, but also the role of the Church in cooperating with the secular power to accomplish this mission. Under Charlemagne’s grandson Lothar we see the beginnings of the office of Archchancellor which would become central to the role of the Ecclesiastical Electors. Thus the Emperor, receiving his commission from the Holy Father, commissions the Church to aid in the Catholicizing and governing of Christendom. Now it may seem like a contradiction that those who are to dedicate their lives to the health of the Soul should be so burdened with the welfare of the body, and that those wield the spiritual sword ought to sheath the temporal. How were these seemingly conflicting duties reconciled? In one way, each office, spiritual and temporal, were completely separate, and only united in so far as they were held by the same person. 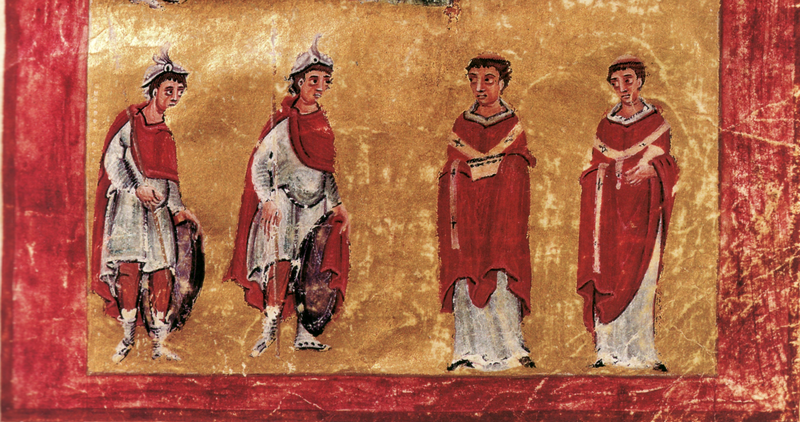 Likewise when the temporal rulers were inducted in the political order as canons, or in the case of the Holy Emperor, ordained to the diaconate in confirmation of his status as theoú diákonos. And yet because the Spiritual took precedence, this was not always the case in practical terms. While maintaining their rights, the temporal jurisdictions of Archbishops and Bishops were often administered by the secular nobility, as was the case of the Bishopric of Trent, administered by the Count of Tyrol. 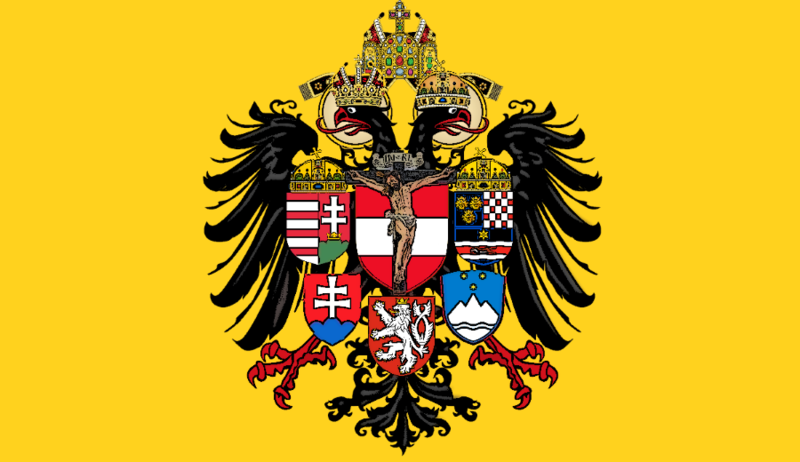 In this manner the secular offices survived even the dissolution of fealty to the Empire itself, with such Prince-Archbisophrics as Salzburg surviving secularization under the protection of the Archdukes of Austria. It was perhaps inevitable that amidst the unrest and confusion, important distinctions were blurred, and thus led to the conflict of Church and Empire in the form of the Investiture Controversy. Though eventually resolved, the controversy weakened the unity of Christendom until the power of the Holy Roman Empire shattered with the death of Frederick II. In the political vacuum caused by the weak kings of the Great Interregnum, the duties of protection and expansion of the Church shifted to France, especially under Saint Louis IX. With the election of the great renewer of the Empire, Rudolf I, the unity of Christendom is slowly restored, the relations between Pope and Emperor begin to heal. But the damage done to both cannot be wholly undone, even as Albert I attempts to resume the role of Papal Protector against Pope Boniface VIII’s antagonist Philip the Fair. Even so ecclesiastics continue to play a vital role in the political life of the Empire, eventually constitutionalized in the Golden Bull of 1356. The situation of the ecclesiastical hierarchy in the Empire, while unique, was by no means unexemplary. On the contrary, temporal rights and independence of the hierarchy, even if to a small extant, are desirable for making possible the cooperation of governing body with the Church in furthering Catholic politic life. With the lessons of history available to us it is easy enough to avoid the conflicts and complications which arose without the solutions we now possess. As no political order will reach perfection in this world, it is extremely important that a restored Sacrétemporal Order be tempered by an Ecclesial Hierarchy active in the political sphere. This maybe a bad question, but is there anything preventing Karl von Habsburg or any future Hapsburg heir from styling themselves as “King of Rome” before the Empire is restored? I know Napoleon I attempted to style his son Napoleon II this after the official dissolution of the Holy Roman Empire. Practically, the only country that would be directly offended would be Italy, but if this is a major issue than the older “King of the Romans” or “Rex Romanorum” could be used. Also, would Pope Francis be open to restoring the prayers for the Emperor back to the Easter mass? Not at all a bad question, thank you for asking. I think that the case can be made that by virtue of being the only one to retain an electoral office, the heir of the house of Habsburg is automatically the next Emperor-Elect, Imperium Supplet. If this is indeed the case, then he would be by rights also King of the Romans. If it is not the case however, it would be possible for a new electorate to be called, in which case the title would go to the elected heir, to be confirmed as Emperor by Papal coronation or dispensation (such as the dispensation for Maximilian I and his heirs to use the style Emperor-Elect). While Pope Francis has expressed high regard for Blessed Emperor Karl and the Imperial family, I’m not sure that the Good Friday Prayers are even something that has been brought to his attention. That said, there is nothing preventing them from being used as a privation devotion after the official liturgy. Has any Pope officially or unofficially recognized the Eucharistic Benediction of Rudolf I? That would give weight to naming the Hapsburg heir in the prayers. It seems that it was recognized by Bl. Pope Gregory X, who not only confirmed, but actively encouraged the election of Rudolf I, in the hope that he would lead a new crusade. Unfortunately numerous circumstances prevented this from becoming a reality, however they remained on very good terms throughout Gregory’s pontificate. Since the benediction is supposed to be till the end of the world, my logic is that would make the Hapsburg heir the presumed Emperor-Elect. Though I suppose any descendent of Rudolf I would technically qualify based on the benediction’s wording: “Lord, now humble before God, He will grant to you worthiness in time, and also to you and your descendants eternally, the Crown and Scepter of the Empire, and six other crowns.” By the way, what nations are the six other crowns traditionally believed to be? I would hesitate to quantify them, although candidates would be the indivisible Crown Lands of Bohemia, Hungary, Croatia, Carinthia, Dalmatia, Bosnia, or the others. I should clarify that I interpret Napoleon I’s attempt to style his son “King of Rome” at least implies that the title could hypothetically still be used even before the Holy Roman Empire is restored. Granted the two things going against this are 1) Napoleon had a revolutionary streak (to put it mildly) and probably did not mind flouting the proper use of imperial titles and 2) none of the Austrian Emperors attempted this styling (granted this would have resulted in resistance from Russia and France who saw themselves as imperial powers and heirs to the Roman Empire). I admit I do not know much about the title “King of the Romans” other than it was used by one not yet coronated by the Pope. I am not sure if that means that the title was ever used as a means of subtly undermining the Pope’s authority. The last paragraph repeats “will reach perfection in this world” twice.